HELLO EVERYONE. Glad Mixey is still holding the fort down and offering a lovely space for a playing field. I'm Here with Gail Anne Dorsey in LA preparing to do a DVD for teaching beginning and intermediate students in piano and bass. We are both scared as we are unconventional teachers but do know how to make music. After the DVD we will do 20 hours of teaching ONLINE courses in all aspects of playing music. We also had a jam session with Gail on drums and myself on piano and Max my grandson (3 years old on drums ) tearing it up. Gails eyeballs almost fell out of her sockets! "I want to play how I feel in every moment." Mike... Why would you and Gail be sacred about teaching????? You're both naturals!!!! I know what you can do. JEEZ!!! Just do what you do. It'll be awesome. I've seen you dig down and pull out the best in so many musicians and singers too... and you're able to change up and taylor how you impart information to a particular person. I know this about you. Maybe that's what you're nervous about. When you're in front of a camera, you're speaking without that one on one. Just remember the countless personal lessons you've given... and how you've felt over the years as a student too. You'll fnd the way... which is better than it being scripted. It'll be NOW lessons... waaaay more interesting. No worries you'll be fine. Gail... When Mike told me that you were going to be teaching, I knew it was going to be GREAT! I saw this clip that you did for Earnie Ball a while ago, and I knew then that you were a natural for connecting in a beautful down to earth way... no ego... just honest sharing. You're going to be fantastic. Don't worry! I also heard what you composed for Mike's birthday one year. Anyone who could come up with that, has a beautiful soul which transmits easily to others. You shine! Best to you both this week... and big kisses to Max the wonder boy. I can't believe that cutie! We need home movies up here. You're teaching him drums is unreal!! Let us know how it goes... and may DB will get his tapes back too this week. ... A w e s o m e n e s s ! ~BigSmiles & Keep Having Fun! the M-Audio ProKeys 88 SX Stagepiano � Go Mike!!! Gail has played bass for artists such as David Bowie, Tears For Fears, and Gwen Stefani � Go Gail!!! ~Can't wait to work with you both! BigSmiles & Keep Having Fun! I didn't sleep much but buzzed as yesterday I did my music lessons and then Gail and then Carl Verheynen on guitar. Yesterday the jam session expanded to Gail on bass and Max on drums and myself on piano. (Max is 3) but totally intuitive and Gail's eyeballs looked like they would fall out in disbelief. I will try to create a short video after I emerge from the studio in 3 days. I can see why you chose Verheyn to teach guitar on the DVD. I'm putting this into the guitar thread too. Hope things are going well for you today Mike. Happy Birthday to Susan too. I EMERGED FROM THE DVD TRAINING FAIRLY WELL . FORGIVE THEM FOR THEY DON'T KNOW WHAT THEY ARE DOING. You have much work ahead of you! The teaching DVD will be available hopefully by Christmas. Get better the DVD will be out around Christmas? 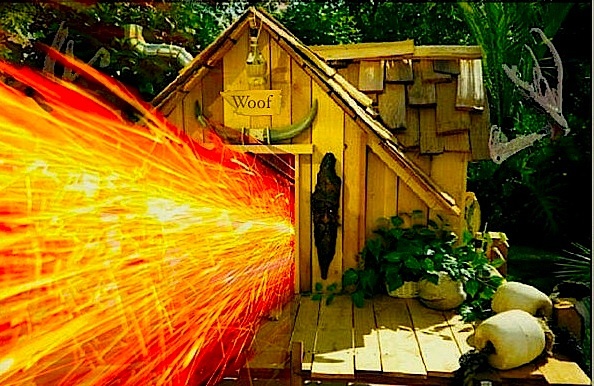 That's it... You're going into the woof house! Mike after Gail helped him shave his head for the first time. *LoL* Hi Everybody!!! Mixey, Mike... Did someone say... Woof House? Just watch out for those subwoofer wires! The Woof House is in The Shroom Room Mike. So was it Gail who talked you into shaving your head? What did Susan say about it when you got back from the tour? ACTUALLY DAVID AND REEVES AND A BIT OF MY OWN DESIRE BUT IT TOOK MONTHS AS I WAS AFRAID. It took me about 2 seconds to decide to shave my head in 1993. My family was in shock. Travis' school friends told him I looked like Sinead O'Connor. You have piano / bass and guitar covered so far, I see. Will you cover any other instruments on the DVD? (((Oh Yeah!!!))) We'll Keep Ya Posted! UPDATE: MIXEY.. YOU ARE AWESOME!!!!!!!!!!!!!!!!!!!!!!! are not big enough to describe how wonderful these sessions are. Geno... Mike... Mixey... holy cow. Geno, when I'm back off the road I'm coming over, you need to catch me up! I'm so out of it. This all sounds so cool. I'll be watching this thread for more info, for sure !